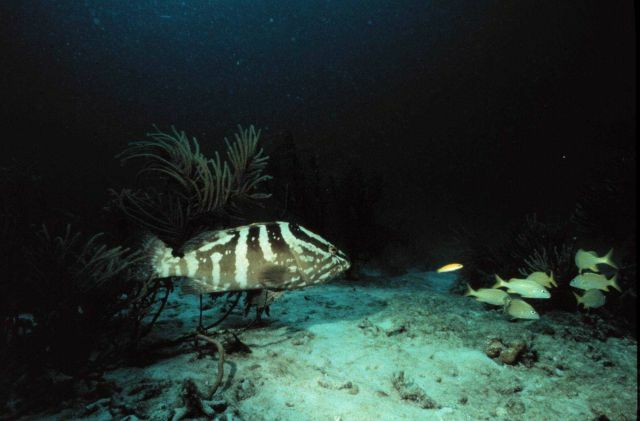 Nassau grouper eyeing its next meal. Epinephelus striatus. Photo Location: Tropical Atlantic Ocean, Caribbean Sea.